I was perusing a few of the other online watch magazines and came across a few write-ups on the Diver. It really struck a chord with me. Not having any prior knowledge of Cartier other than liking the Roadster, I wasn't aware that Cartier didn't utilize in-house movements in anything other than very specialized releases. Just looking for some input on this watch and calibre. It seems to be a true break from their normal releases. The 1904 MC appears to be a quality movement employing two barrels, bi-directional winding, ceramic bearings and more. I would like to know if there are any TZ owners of this piece and their impressions of it. Wrist shots? Anything really. If you do a forum search, there have been significant discussions and posts on the Calibre in the past. 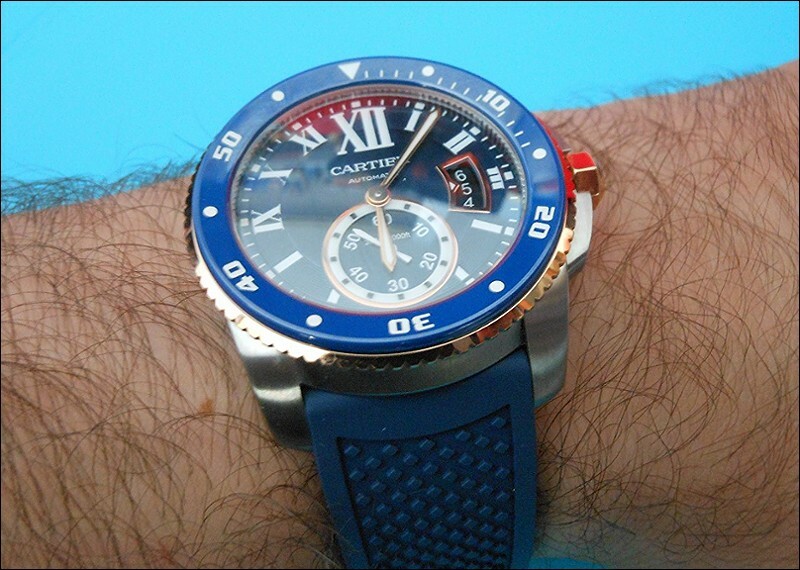 The Diver intrigues me and I plan on heading to Cartier to try a few on. I like the watch in all of it's iterations. My inclination is the black with gold, but I also like to purchase the bracelet versions of watches and then add straps. I do not like the SS and gold bracelet - well at least not in the pics. So in the metal will tell me more. Also, the blue intrigues me, but would also have to see it to know if it was for me. What I do like about this watch is the in-house movement and the use of ADLC coating on the bezel. I also like the seconds subdial. The date window is done well, but I could just as well do without it. Yes, i love watches a lot.